GELMER FUNICULAR, BERN CANTON, SWITZERLAND: Europe's steepest funicular and one of the world's most breathtaking, the Gelmer Funicular hoists you into the postcard domains of the Berner Oberland, Maximum gradient on the ride to the lake at 1860 metres is a terrifying 106 per cent, or more than 45 degrees. At the top you're rewarded with get sensational views over the Grimsel Pass and Haslital Valley to the snow-covered peaks of the Swiss Alps. 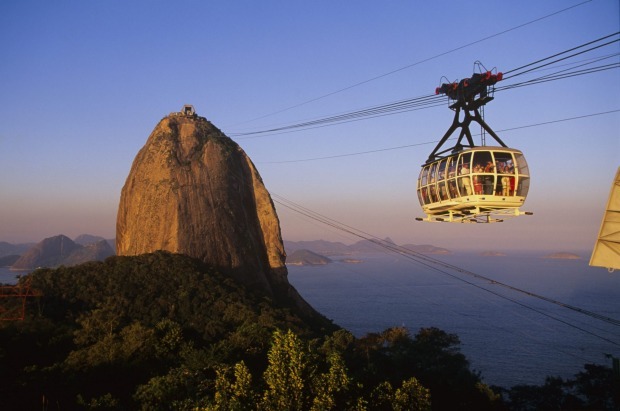 SUGARLOAF CABLE CAR, RIO DE JANEIRO, BRAZIL: It's the ultimate view over Rio de Janeiro, a panoramic vision that includes the city's famous Ipanema and Copacabana beaches and the statue of Christ the Redeemer on Corcovado. 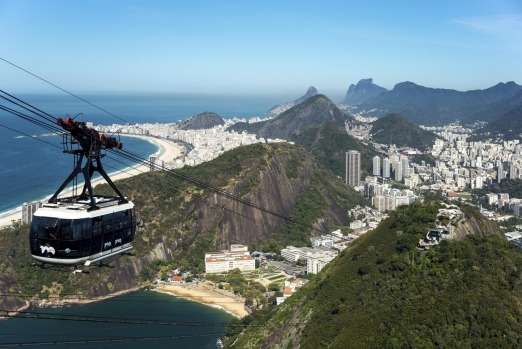 One of the oldest cable car rides in the world, it's a two-stage journey, the first from Praia Vermelha "Red Beach" to Morro da Urca, the second to the summit. ARTILLERiA FUNICULAR, VALPARAISO, CHILE: Valparaiso once had more than 30 ascensores, the funiculars that ladder the steep slopes rising from the city's waterfront. Only a handful still operate, and the Artilleria Funicular is the joker in the deck, painted in gelato colours that reflect the creative spirit of the city's Cerro Alegre and Cerro Concepcion districts, the bohemian quarter teetering above the harbour. Although the 175-metre journey lasts little more than a minute, the trip is worth it for the view alone. 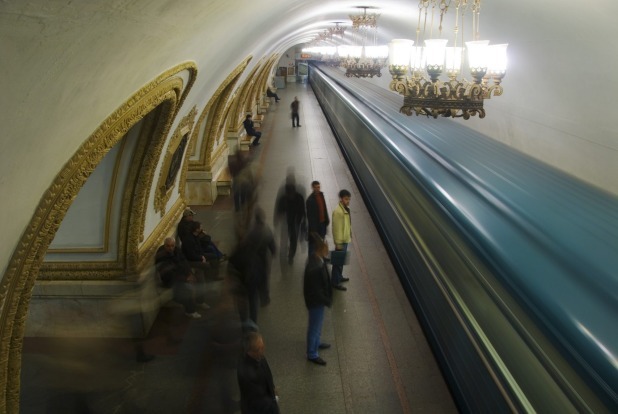 MOSCOW METRO, RUSSIA: Gleaming, efficient and scrupulously clean, these stations are a propaganda monument to Soviet communism, possibly the closest thing the system came to churches. Among the favourites, Kievskaya is a fantasy in white marble draped with chandeliers. Its mosaics depicting Russo-Ukrainian unity now seem like a sick joke, while Komsomolskaya Station harks back to the days of the tsars with its lemon meringue colour scheme and pretty scrollwork. At Ploshchad Revolyutsii, bronze statues framing the archways depict workers, farmers and students, all clear of eye and purposeful, the common heroes of the Soviet system. 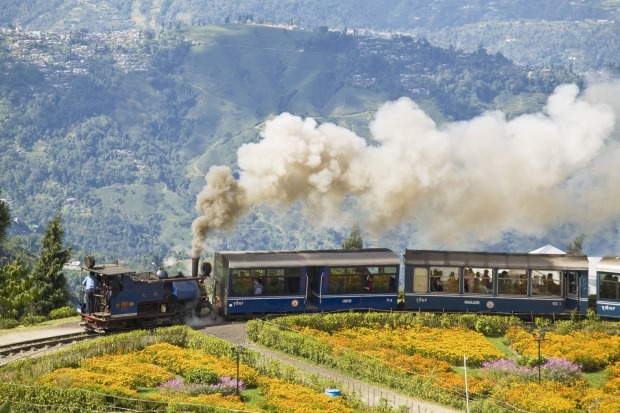 TOY TRAIN, DARJEELING, INDIA: The essential Darjeeling experience, this narrow-gauge railway is one of the engineering marvels of the British Raj. Steam buffs come from all over the world to ride the most illustrious of all India's mountain railways, inscribed on the World Heritage List since 1999. The full 88-kilometre journey between New Jalpaiguri and Darjeeling has been closed due to landslides since 2010, with a promised reopening date of early 2015, but the 45-minute ride between Darjeeling and Ghum, the highest railway station in India at 2225m, is a satisfying alternative. For much of this journey the train runs along Hill Cart Road, the main route through the hills, puffing and whistling just inches away from fluttering Tibetan prayer flags, open shopfronts and houses where black-faced langurs peer down from the rooftops, with misty tea plantations cloaking the hillsides. TRAGHETTO, VENICE, ITALY: Traghetti are the people's gondolas, operating from one side of the city's Grand Canal to the other, and dating back to the time when the Rialto was the canal's only bridge. A traghetto is essentially a stretched gondola without the fancy iron bow decoration and brocaded seats. It's a short ride, three minutes at most, and you'll be rowed across by two oarsmen, bow and stern. Most traghetti have been operated by the same families for hundreds of years. Today there are just seven traghetto routes, down from about 30. AMBASSADOR TAXI, INDIA: The Indian-built Ambassador, a replica of Britain's 1950-vintage Morris Oxford III, was a stalwart of India's vehicle industry until manufacturing ceased in 2014. Black and yellow Ambassadors have been a similar mainstay of India's taxi industry, and a ride aboard one still carries a quirky sense of privilege. Although they are a disappearing species on the streets of Delhi, Ambassador taxis are still plentiful in less prosperous cities such as Kolkata. 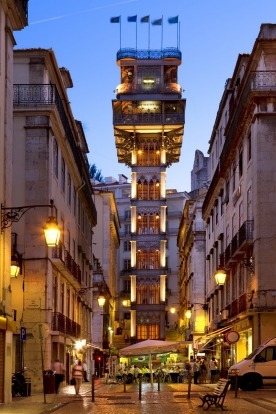 SANTA JUSTA ELEVATOR, LISBON, PORTUGAL: Beauty and functionality combine in this short ride that hoists you 45 vertical metres from the Baixa district to an elevated walkway leading to Carmo Square. In operation since 1902, beneath the lift's wrought iron skin of neo-gothic arches is a superb example of early iron architecture designed by an apprentice of Gustave Eiffel. Along with the polished brass and mirrors in the timber-lined cabins, you get a stone-faced driver who presides over polished brass dials. Go in the evening, and linger in the cafe at the top of the spiral staircase. 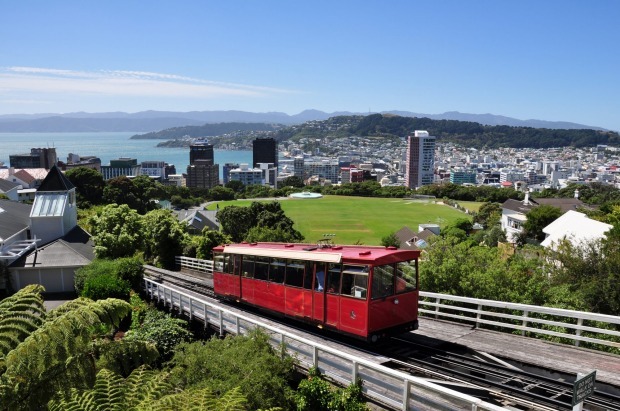 WELLINGTON CABLE CAR, NZ: From Lambton Quay at the heart of the city's shopping district this vintage-style red tram whisks you to the top entrance of Wellington's Botanic Gardens, and a magnificent view across the city and Te Whanganui-a-Tara, The Great Harbour of Tara. STAR FERRY, HONG KONG: Not the most practical nor the fastest way to travel between Kowloon and Hong Kong Island, but there's magic in the shuddering Star Ferry trip across the city's Harbour. It's a survey of the floating world, cruise ships to bumboats, their gunwales almost sipping. Sit on the upper deck for prime views of the city's towering banks, the props of commerce in a city that was founded on opium and tea. 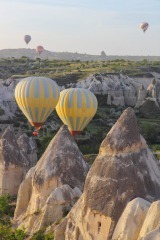 Sometimes the best thing about travelling is not the destination but the trip itself, writes Michael Gebicki. Among the rides in our travels, there are some that we take not necessarily to get from A to B but for the sake of the ride itself. 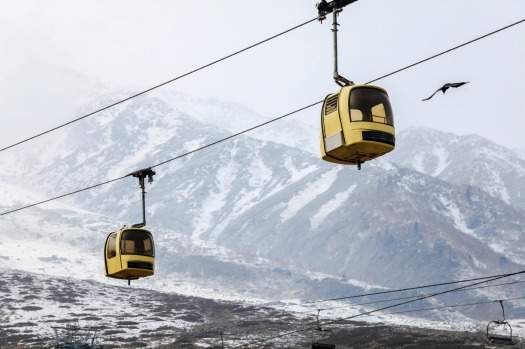 It may be one that only a tourist would take - a gondola that transports you high into the Andes, the Swiss Alps or the Karakorams, or far more modestly from the banks of the Danube up to Budapest's Castle Hill. 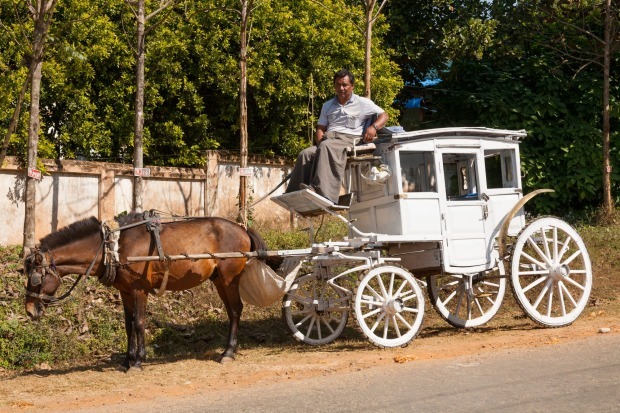 Others, such as the Moscow Metro, or the stagecoaches of Myanmar's Pyin U Lwin, are everyday transport for the locals, but they reward the outsider in some special way with their character or opulence. Many are short, or routine. Lisbon's Santa Justa Elevator takes less than a minute to hoist you 45 metres from the city's ground floor, and the commuters who make the daily trip aboard Istanbul's Golden Horn Ferry are more interested in their newspapers than the scenery. Often you'll get a telling insight from these rides, an intimate moment that reveals something of the city's psyche. It may be the driver of the Ambassador taxi in India's Mumbai, juggling mobile phone, steering wheel, gear stick and giving hand signals as he navigates the traffic, or the frau on Vienna's Ringstrasse tram with a sausage dog wrapped up in her tote. Here are 25 rides that resonate. The Cerro Artilleria elevator in Valparaiso, Chile. Traghetti are the people's gondolas, operating from one side of the city's Grand Canal to the other, and dating back to the time when the Rialto was the canal's only bridge. 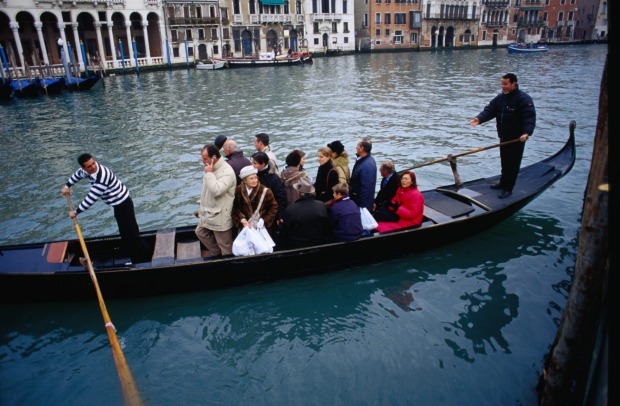 A traghetto is essentially a stretched gondola without the fancy iron bow decoration and brocaded seats. It's a short ride, three minutes at most, and you'll be rowed across by two oarsmen, bow and stern. Most traghetti have been operated by the same families for hundreds of years. Today there are just seven traghetto routes, down from about 30. Surviving the wobbly ride on your feet, as the locals do – tourists are sometimes told to sit on the gunwales since the oarsmen are not fond of fishing customers out of the canal. Look for the yellow or white Traghetto signs. Don't try and board with luggage, use a motorised vaporetto instead. Residents pay €0.70 for tourists it's €2 ($3). 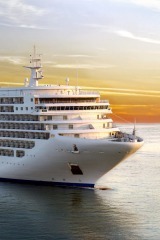 Venice has made an art form of fleecing tourists; pay up and sigh. From the ground floor of the city to the 395-metre peak of Sugarloaf Mountain. It's the ultimate view over Rio de Janeiro, a panoramic vision that includes the city's famous Ipanema and Copacabana beaches and the statue of Christ the Redeemer on Corcovado. One of the oldest cable car rides in the world, it's a two-stage journey, the first from Praia Vermelha "Red Beach" to Morro da Urca, the second to the summit. Make the trip late in late afternoon and watch as sunset paints the city, which becomes a fairyland of flickering lights surrounded by leaping peaks. Stake out a position at the front of the car for the best views, they take up to 65 passengers and when full it's difficult to move around. From the Galata Bridge to Eyup. 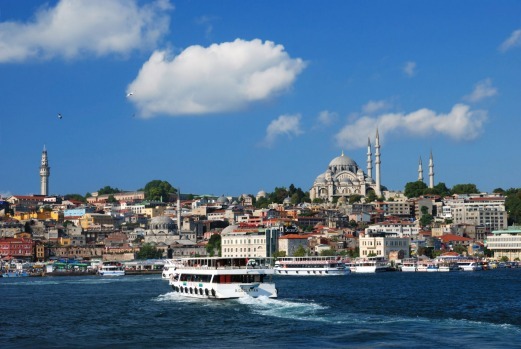 This is a more intimate, less touristy vision of the city than the popular tourist cruise along the Bosphorus, the traditional divide between Europe and Asia. The journey along the narrowing, seven-kilometre Golden Horn takes in the former shipyards of the Ottomans, mosques, the one-time Jewish quarter of Balat, the city's largest bathhouse and palaces. At the waterfront, the Gothic Church of St Stephen of the Bulgars was made of cast iron in Vienna in 1871 while the surrounding district of Fener has some lovely brick mansions built by Phanariote Greeks, descendants of the Byzantines who stayed on after the Ottoman conquest. Leave the ferry at Eyup, the last stop, right beside the Feshane where all of Istanbul's fezes were once made. A local attraction is the Pierre Loti Café, built where the French naval officer turned Turcophile novelist used to come to admire the view. Take the cable car up the hill and walk back down, past the graveyard of the Ottoman nobles. Before your ride grab a fish sandwich, a traditional snack, from one of the waterfront stalls at Eminonu. Most Golden Horn ferries leave from the western side of the Galata Bridge at Eminonu, the Bosphorus cruises from the western side. The one-way fare is $1.60. The Golden Horn is Halic in Turkish. 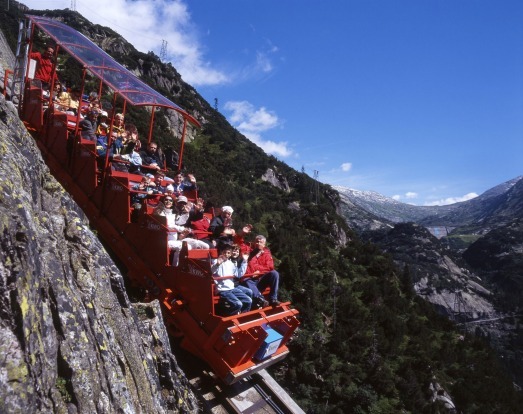 Europe's steepest funicular and one of the world's most breathtaking, the Gelmer Funicular hoists you into the postcard domains of the Berner Oberland, Maximum gradient on the ride to the lake at 1860 metres is a terrifying 106 per cent, or more than 45 degrees. At the top you're rewarded with get sensational views over the Grimsel Pass and Haslital Valley to the snow-covered peaks of the Swiss Alps. Take a seat at the front on the way down, and hang on for a white-knuckle ride. Take hiking boots and make the two-hour stroll around the turquoise Gelmersee Lake, or the slightly longer trail up to the Gelmer Hut. Pack picnic supplies and lunch close to heaven. Pyin U Lwin, formerly Maymyo, is a one-time British hill station set in cool, moist countryside north-east of Mandalay. Known locally as gharries, horse-drawn stagecoaches have been used as taxis around the town since colonial days. Windowless, highly eccentric and decorated with fanciful scenes that reflect the tastes of their owners, they offer a hilariously jolting ride over the pitted thoroughfares that pass for the town's roads. Hire one for a tour of the town's botanic gardens. 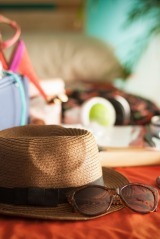 Agree the fare in advance, and be prepared to bargain hard. Vehicles take about two hours to travel the 69 kilometres from Mandalay to Pyin U Lwin. Expect to pay ($3-$6) for a one-hour stagecoach ride, depending on your bargaining skills. Across Port Vell Marina in Barcelona harbour, connecting Barceloneta Beach and Montjuic Hill. 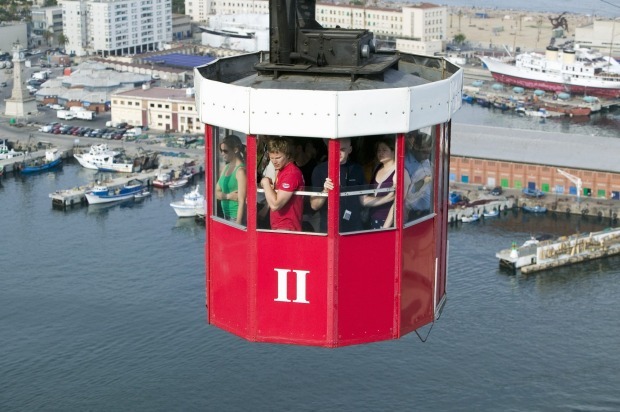 Suspended high above the city's harbour, the tiny red and white boxes of the Port Cable Car sway alarmingly as they make their way across the harbour but the journey is well worth it for the bird's-eye views of the city's monuments, including Gaudi's Sagrada Familia. On arrival at the Torre de Miramar on Montjuic Hill you're at the delightful Costa i Llobera Gardens, with fine views over the city and harbour. The ticket queues are always longer at the beach. Consider taking the Montejuic Funicular from the Parallel Metro Station and then the Montejuic Cable Car to the hilltop, then the Port Cable Car for the return journey to the beach. From Sant Sebastia Station, on San Sebastia beach near Barceloneta beach, or from Montjuic. 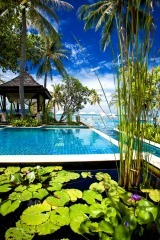 Operates daily from 11am to 5.30pm. $24 return , $16 one way. The essential Darjeeling experience, this narrow-gauge railway is one of the engineering marvels of the British Raj. Steam buffs come from all over the world to ride the most illustrious of all India's mountain railways, inscribed on the World Heritage List since 1999. The full 88-kilometre journey between New Jalpaiguri and Darjeeling has been closed due to landslides since 2010, with a promised reopening date of early 2015, but the 45-minute ride between Darjeeling and Ghum, the highest railway station in India at 2225m, is a satisfying alternative. For much of this journey the train runs along Hill Cart Road, the main route through the hills, puffing and whistling just inches away from fluttering Tibetan prayer flags, open shopfronts and houses where black-faced langurs peer down from the rooftops, with misty tea plantations cloaking the hillsides. The Batista Loop where the train doubles on itself to make a tight circle, enabling it to climb the steep gradient. Don't put your head out the window, burning embers from the steam engine can hit you in the face. Scheduled departures from Darjeeling are 10am and 2pm, but check. $8 return. 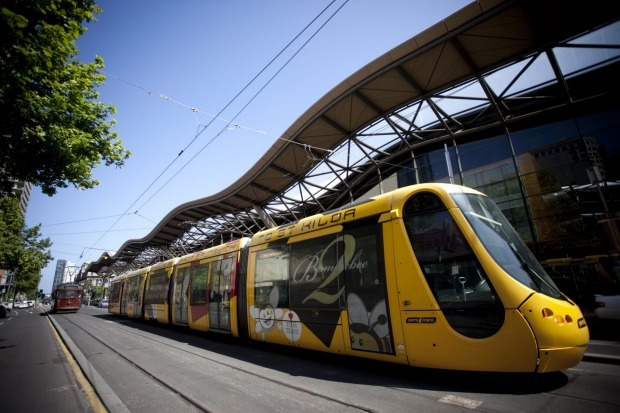 This clanking, vintage, yellow tram threads through the city centre, through wide esplanades and narrow streets, taking in some of the city's cultural treasures as well as quiet neighbourhoods. The 24-hour ticket allows you to hop on and off at any of its 30-plus stops. 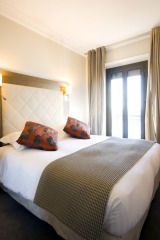 Highlights include the Castle of St. George, the historic Graca quarter, now restored to its former glory with a lovely garden in Largo da Graca, the bohemian Bairro Alto and the indoor/outdoor Campo de Ourique market. Hop off at Camones Square for a mazagran, an iced coffee with lemon, or a sweetened almond drink, at one of the pretty art deco kiosks. Refresco de Camoes is a standout. Its popularity as a tourist tram also make it a magnet for pickpockets, take care. $5.70 for a 24-hour ticket. Tram tickets are sold in kiosks and shops all over town and in the subway. Covers the capital's entire metropolitan area. Begun and largely completed during the reign of Stalin as a showcase for Soviet engineering, aspirations and art, it's the stations of the metro system that command attention. Gleaming, efficient and scrupulously clean, these stations are a propaganda monument to Soviet communism, possibly the closest thing the system came to churches. Among the favourites, Kievskaya is a fantasy in white marble draped with chandeliers. Its mosaics depicting Russo-Ukrainian unity now seem like a sick joke, while Komsomolskaya Station harks back to the days of the tsars with its lemon meringue colour scheme and pretty scrollwork. At Ploshchad Revolyutsii, bronze statues framing the archways depict workers, farmers and students, all clear of eye and purposeful, the common heroes of the Soviet system. Mayakovskaya Station, crown jewel of the Moscow Metro crown, built in the pre-World War II high Stalinist style, trimmed with stainless steel and pink rhodonite columns set against grey marble walls, with mosaics within the illuminated ceiling domes that depict a idealised Soviet world. Avoid the rush hours, this is one of the world's busiest metros. 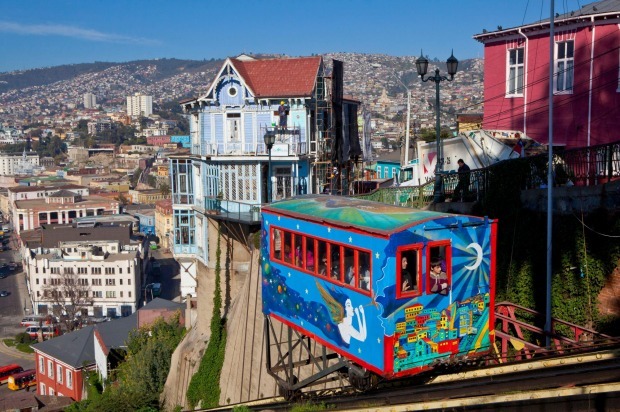 Valparaiso once had more than 30 ascensores, the funiculars that ladder the steep slopes rising from the city's waterfront. 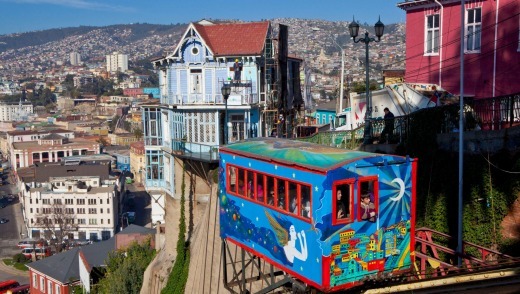 Only a handful still operate, and the Artilleria Funicular is the joker in the deck, painted in gelato colours that reflect the creative spirit of the city's Cerro Alegre and Cerro Concepcion districts, the bohemian quarter teetering above the harbour. Although the 175-metre journey lasts little more than a minute, the trip is worth it for the view alone. At the top is Paseo 21 de Mayo, a harbour-view terrace and home of the National Maritime Museum. Watch your valuables at the lower end of town, and anywhere tourists congregate. 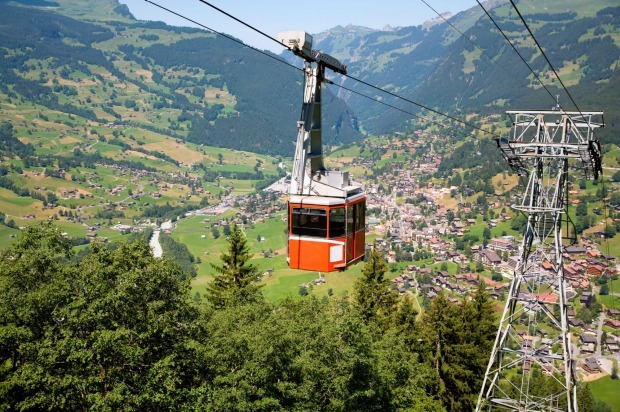 This snail-paced gondola ride takes 35 minutes to cover the six kilometres from Grindewald to Mannlichen, with the alpine pastures, wildflower meadows, forests and snowy peaks of the Bernese Oberland swaying at your feet. From the top station at 2343 metres you can hike to the Mannlichen summit for more sensational views, or even onto the Opfelchuechliweg, the "Apple Fritter" trail. The world's second highest gondola ride is a two-stage journey that takes you through glorious pine forests and meadows to Apharwat Station at 3979 metres. True to form, India has its own take on high-altitude tourism. Along with glaciers, freezing temperatures and snow-covered mountains, the trip takes in nomadic shepherds and, at the top, slightly bewildered Indian tourists bargaining for pony rides. Book online and avoid the ticket office queue. The trip from Adam Clark Square at the Buda end of the Chain Bridge up Castle Hill takes barely three minutes but it saves a panting walk to the city's number one attraction. 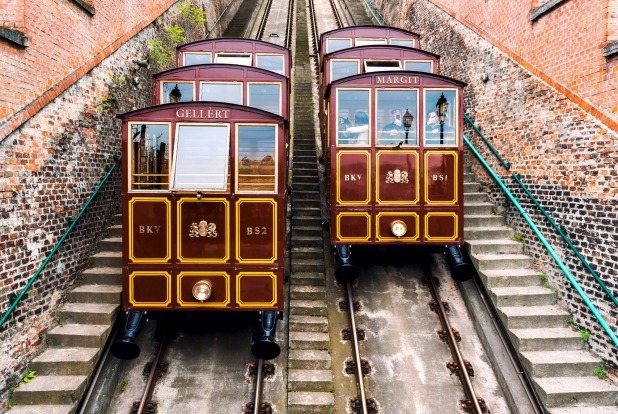 The second funicular in Europe when it opened in 1870, the replica carriages are a vast improvement on the originals, with a stepped design that offers most passengers panoramic views over the river and Pest. 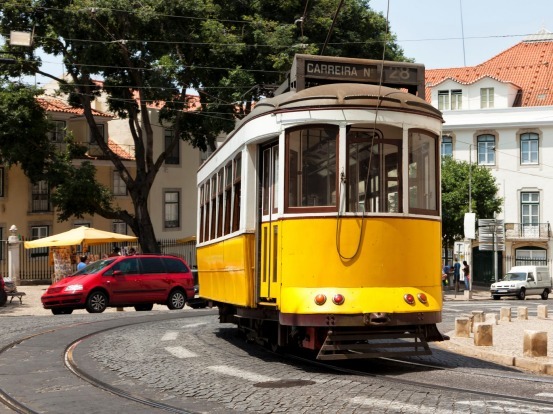 Beauty and functionality combine in this short ride that hoists you 45 vertical metres from the Baixa district to an elevated walkway leading to Carmo Square. In operation since 1902, beneath the lift's wrought iron skin of neo-gothic arches is a superb example of early iron architecture designed by an apprentice of Gustave Eiffel. Along with the polished brass and mirrors in the timber-lined cabins, you get a stone-faced driver who presides over polished brass dials. Go in the evening, and linger in the café at the top of the spiral staircase. 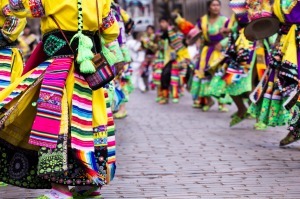 The cable car from the city of Merida into the heights of the Andes is the highest as well as the longest in the world, hoisting hoists visitors 12.5 kilometres to an elevation of 4765 metres, enough to find yourself panting and frozen unless you've rugged up. Closed in 2008 to allow for a complete reconstruction, the system is expected to recommence operation in early 2015. 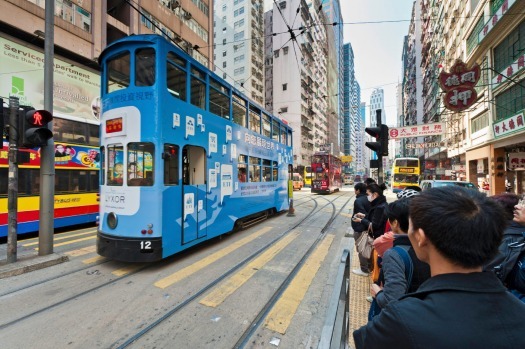 Stretched out near the waterfront on bustling Hong Kong Island, the tram line is slow, noisy and anything but smooth, but there's fascination every inch of the way. It's a sensory journey, smells as well as sights and sounds, especially where the tram travels through the Chun Yeung Street wet market. Central to Causeway Bay is the classic journey. Squeeze your way to the upper deck and sit beside the window. From Lambton Quay at the heart of the city's shopping district this vintage-style red tram whisks you to the top entrance of Wellington's Botanic Gardens, and a magnificent view across the city and Te Whanganui-a-Tara, The Great Harbour of Tara. A miracle when they were installed, these elevators have been hauling visitors up through the innards of the Eiffel Tower since 1889. A change of lifts at level two is required to reach the dizzying heights of the observation deck at 276 metres. Two of the original lifts are still in service. 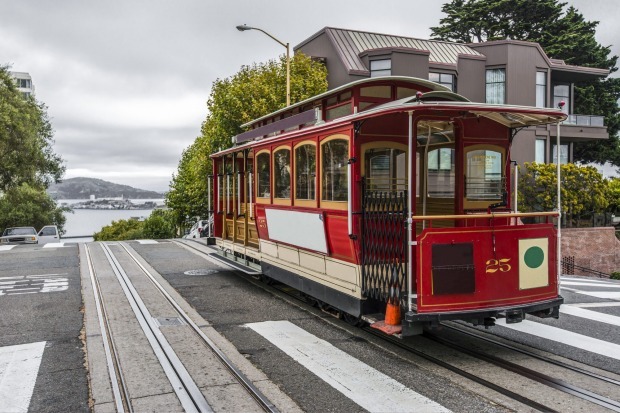 The quintessential transport around San Francisco's roller coaster hills, cable cars are a thrilling ride, especially where they scale the heights of Nob Hill. Best bets for visitors are the Powell/Hyde and Powell/Mason lines, which offer steep city views including the flowery zig-zags of Lombard Street. Travel on the side facing the bay for the best views. In its 16-kilometre journey from East Brunswick, across its heart and south to beachside, bohemian St Kilda, the number 96 tram stitches together many of the city's icons. Included in the list are the Melbourne Museum, Exhibition Buildings, Carlton Gardens, State Parliament, the Bourke Street Mall, Crown Casino and Luna Park. 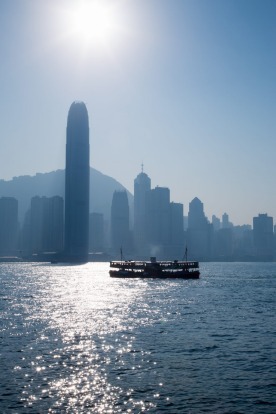 Not the most practical nor the fastest way to travel between Kowloon and Hong Kong Island, but there's magic in the shuddering Star Ferry trip across the city's Harbour. It's a survey of the floating world, cruise ships to bumboats, their gunwales almost sipping. Sit on the upper deck for prime views of the city's towering banks, the props of commerce in a city that was founded on opium and tea. 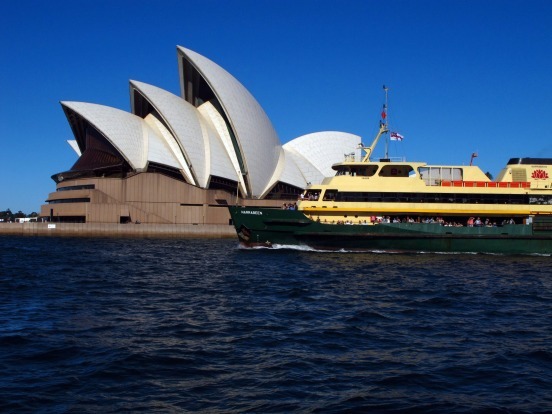 Possibly the world's best commute, the 30-minute cruise between Circular Quay and Manly is the perfect way to see some of the scenic highlights of the Harbour City, with yachts, cruise ships and – sometimes – whales for company. 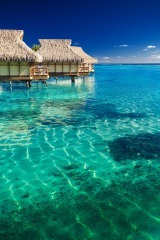 Also a full frontal view of some of the priciest real estate on the planet. One of the longest of the capital's tram routes, tram number 3 travels in a half loop that stitches together charmingly louche Trastevere, Circus Maximus, the Colosseum, the Basilica of the Holy Cross in Jerusalem, Porta Maggiore and finally winds around the north side of the giant park that surrounds Villa Borghese. The Indian-built Ambassador, a replica of Britain's 1950-vintage Morris Oxford III, was a stalwart of India's vehicle industry until manufacturing ceased in 2014. Black and yellow Ambassadors have been a similar mainstay of India's taxi industry, and a ride aboard one still carries a quirky sense of privilege. 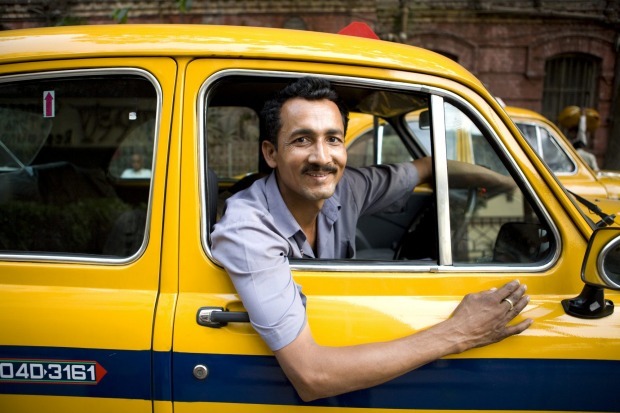 Although they are a disappearing species on the streets of Delhi, Ambassador taxis are still plentiful in less prosperous cities such as Kolkata. 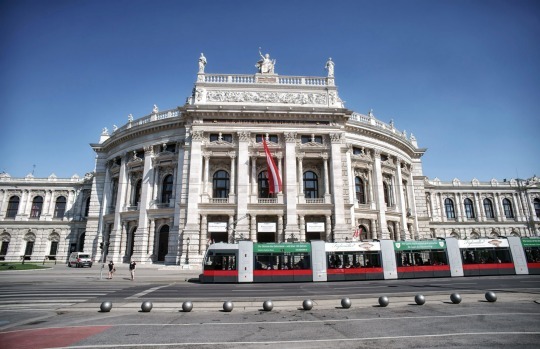 Vienna's grand boulevard, the Ringstrasse circles past wedding-cake palaces, museums and monumental buildings created when the Habsburg empire was at its height. While the yellow tourist tram makes a complete circuit of the Ring, a much cheaper option is the city's regular trams. From the Opera House, take tram number 2 in an anticlockwise direction, change at Schwedenplatz to tram number 1 continuing in the same direction and alight back the Opera. 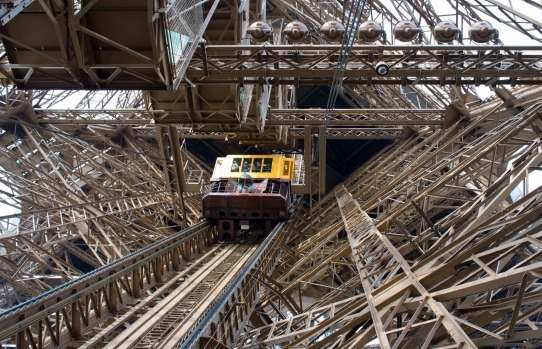 Take a trip with the world's most spectacular local transport in the photo gallery above.